Georgia Voudouri, Co-Founder, was born in Tripoli in 1982. She has a Diploma in Architecture from the National Technical University of Athens, and a Master in Cultural Management from Panteion University, Athens. She also holds a Master in Advanced Architecture from the Institute for Advanced Architecture of Catalonia in Barcelona, with a specialization in Parametric Design and Digital Fabrication. Since 2009 she has been working as a freelance architect and has also curated various artistic projects such as Ypo Kataskevi (2012) Art-A Topografies (2012), RoomstoArt (2012) and apomechanes: nonlinear design strategies (2011). 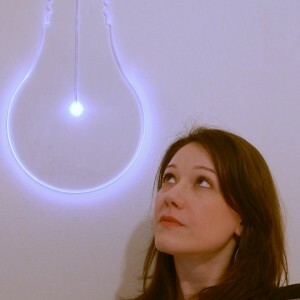 She is a member of roomstoart.gr and a digital design and fabrication consultant at museotechniki.com. She has participated in and co-organized international research projects and installations in the field of digital Space and Form Production, and has contributed in international conferences concerning the contemporary mediatic character of material culture. 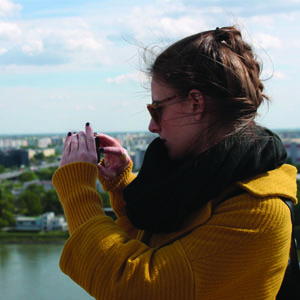 Her research interests include the Performative Spatial Analysis of Installation Art, the experimental use of Digital Tools in Architecture and Art and Site-Specific creation. In 2014-15 she will participate at the Identity!MOVE project, a transnational platform for theoretical and artistic research in the field of contemporary dance and related performing arts focusing on the “Eastern Belt” of the European Union. Angeliki Zervou, Co-Founder, was born in 1983 in Agios Nikolaos, Crete. She studied architecture at the University of Patras, architecture and urban culture at the University of Catalonia and the Center of Contemporary Culture of Barcelona, and cultural management at the Panteion University. During her studies, she worked on urban representations through the image, focusing on television series and video clips. She has participated in national and international conferences on architecture, urban environment and urban culture, and she is a columnist of elculture.gr on city and architecture themes. 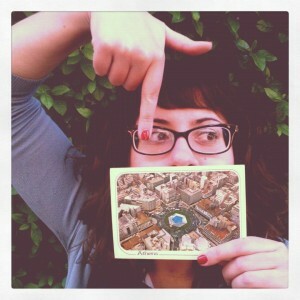 She also curates the column “Shoegazing City” with Dimitris Athinakis, investigating the urban space, on popaganda.gr. Since 2010 she has been an active member and social media manager of the non-profit organization Urban Transcripts (UT), and has participated in the organization of exhibitions, conferences and workshops of UT on contemporary issues of various European cities. She is currently working as an architect in Athens and Crete. 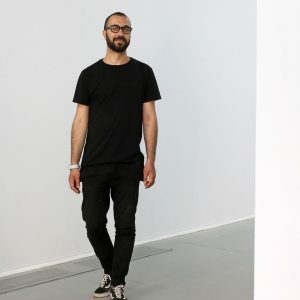 Dimitris Athinakis (aka Latenighter), Co-Founder, was born in Drama, Northern Greece, in 1981, and became an Athenian (and urban) explorer in 2000. He has studied social theology, philosophy and philosophy of science in Athens, in Thessaloniki and in Amsterdam respectively. Words have always been his business: as we utter, write or depict them. Since 2007, as a cultural journalist he has been reporting for such printed and online media as Kathimerini and Avgi, and working within the communications field as a communications manager, a creative director and a concept developer. Since the same year, he has also been translating literature, and editing publications for publishing houses and media groups. He has published four original poetry collections (withoutus , short vacation room , some room for the stranger , and cheap bed ). Poems and essays of his have appeared in reviews and anthologies in such languages as English, Dutch, German, French, Estonian, Turkish, Serbian. He has participated in several seminars and conferences on urban culture, cinema history and theory, literature, philosophy and photography. He lives in Athens downtown, and believes in “nulla ethica sine aesthetica”. Eva Anagnostaki, Associate, was born in 1988. She studied Marketing & Communication at Athens University of Economics and Business, having realized her internship in a popular urban free press. After the completion of her first master´s degree in New Media & Digital Culture at University of Amsterdam, she worked for two years in a web design studio as digital communication & customer service associate. Within the framework of her second master’s degree in Cultural Management at Panteion University, she wrote the script and directed the short film Release and she also participated in the oral history and storytelling project Gerani talks as communication co-manager. Lately, she has been exploring the potential of co-creation and participatory culture towards the activation of the urban public sphere, and has been involved in various socio-cultural initiatives as coordinator and communication manager. In 2016 Eva participated in the first phase of the capacity building and fellowship program START – Create Cultural Change, while in 2017 as a member of the U(r)biquity team took part in the pilot project for the upgrade of Athens Commercial Triangle Athens Trigono.